Our firm is a leading service provider of Rose Gold Electroplating Service that uses high grade metals and alloys for the process. We use the latest equipments for conducting the electroplating procedure for our customers. Assisted by rich industrial experience and vast knowledge, we are able to offer Gold Electroplating Service. We are a well-known firm of Rose Gold Electroplating Service. This service is handled by professionals who have prosperous industry practice and proficiency. These services are rendered with us at low prices. Due to high demand, we render this service as per client’s demand. 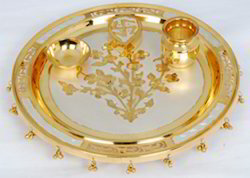 We are experts in the field of Silver and Gold electroplating. We provide electroplating services for the Telecom, Defense, Oil & Petroleum, Automotive industries. We are registered with TIN and VAT. Our customers are currently spread across South and North India. We provide timely services with stong quality controls and our pricing while not cheap, is fair to all parties involved. 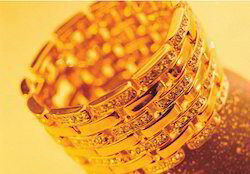 One of the most attractive and precious decorative metal is Gold. This metal is mainly used for Jewelry and decorative electronic Items. This process involves deposition of a thin layer of gold on the surface of some other metal. Apart from gold the other metals mostly used are Silver or copper. We are service provider for zinc electroplating.